The First Southern Baptist Church in Pratt, Kansas, had the kind of problems that most churches wish they had: they were growing fast and had reached the point where they needed additional services each weekend to accommodate the nearly 800 people in the congregation. Its physical plant could not keep up. Enter Builders for Christ, a non-profit that gathers volunteers to construct church buildings for needy congregations at no cost. 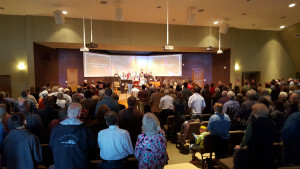 Last year, the organization constructed a new building for the First Southern Baptist Church, one that far better accommodates their growing flock. Thanks to Advanced Sound & Communication, a Kansas City-based AV company, they now also have a state-of-the-art media center for their AV needs that includes a new projection system with wraparound screens, five projectors, three Apple iMac computers, PTZ-networked cameras, and an entirely new PA system including speakers, consoles and wireless microphones. At the heart of that video system upgrade is the Roland XS-84H 8-In x 4-Out Multi-Format AV Matrix Switcher, part of the new Roland XS Series line of Multi-Format Matrix Switchers designed for fixed installations requiring high-quality integrated video and audio conversion and switching. The XS-84H is a single-unit solution for total control of video and audio that is flexible enough to meet the diverse needs of classrooms, conference rooms, live presentations and houses of worship. 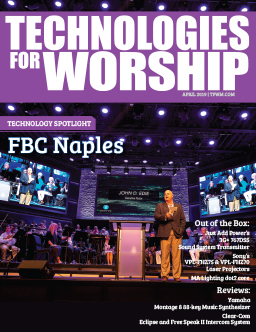 As a result, the church’s media system now has three 16:9 screens illuminated by three projectors, with two more projectors for environmental projection on either side of the screen. 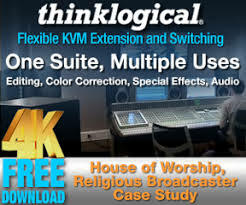 By utilizing the multiple switching and screen processing modes in the XS-84H, the church can switch between “Span Mode,” which extracts the horizontal center portions of the video then splits and scales the content and sends each half to a separate output, and “Matrix Mode” (in conjunction with Pro Presenter software’s multi-display option), to put graphics or lyrics up on each side and IMAG video in the middle. 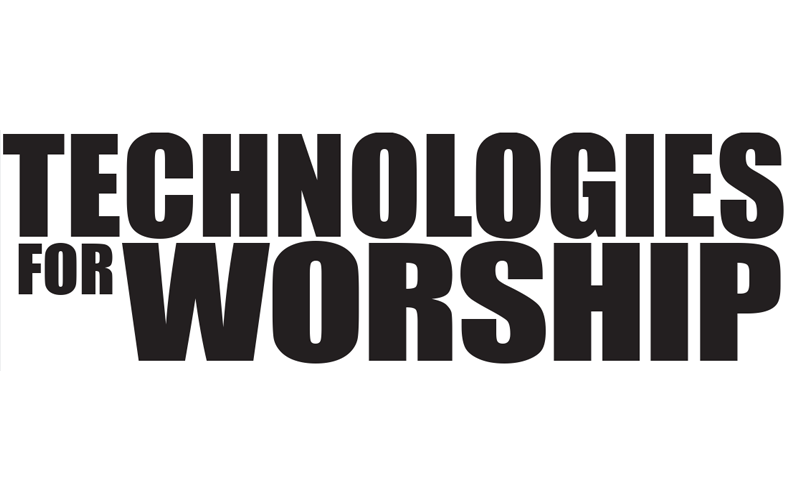 They can then swap it around however they want to on the fly, all controlled by the XS-84H’s iPad option, which allows just two volunteer staffers in the church’s small control room to remotely control the XS-84H via presets set up by Handy and his team.